After two trips to Sri Lanka it goes without saying that my pantry is well stocked with Sri Lankan spices! 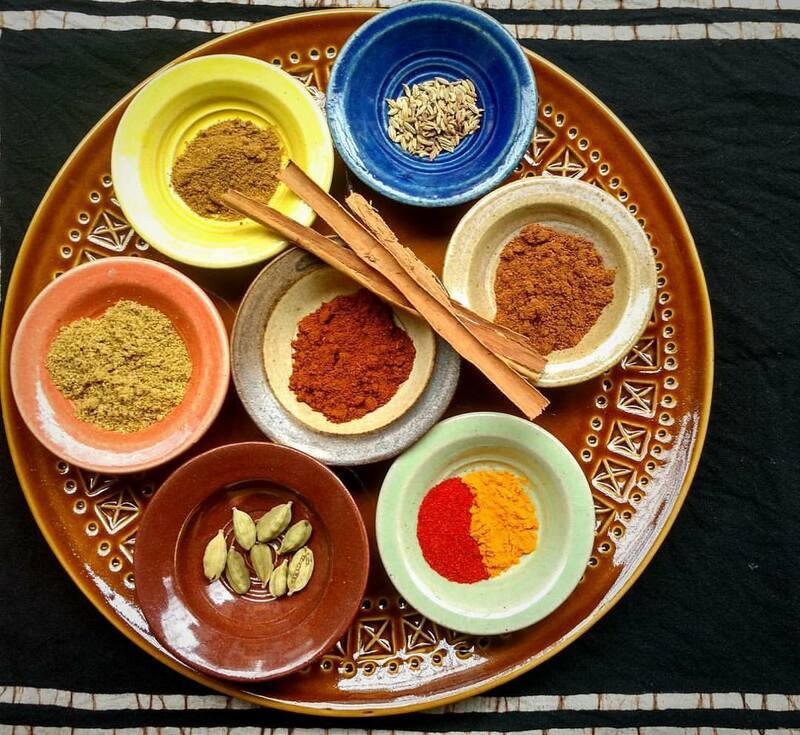 A few days ago as I looked through my collection of spice blends I found the stash from Sri Lanka and decided it was high time I started using them. 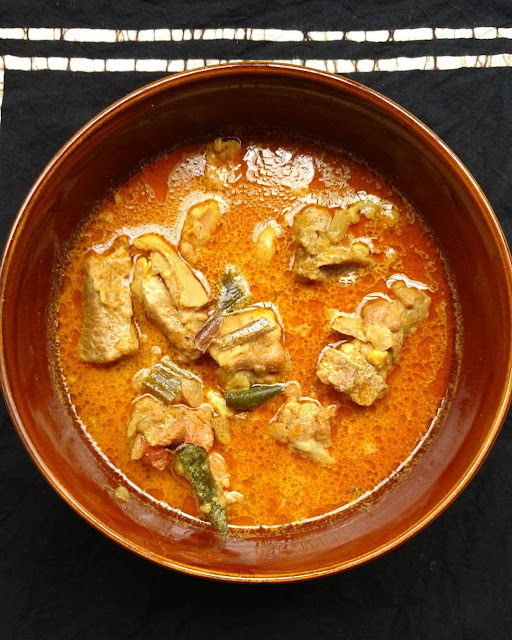 The easiest and most appealing (to me) would be a curry, redolent of spices and coconut milk and so I went looking for a recipe and settled on Peter Kuruvita's recipe for Jaffna Goat Curry which you can see here. Needless to say, I adjusted the recipe according to the ingredients I had at hand. Wash the mutton pieces lightly and set aside. In a clean bowl make the marinade by putting the dry spice powders, tomato and coconut milk together and mixing well to combine. Pour this over the meat pieces, mix well to coat properly and set aside for an hour or so. Heat oil in a heavy bottomed vessel and fry the onions with curry leaves, ginger, garlic, green chillies, pandan leaf, and lemon grass stalks. Stir and fry till the onions turn translucent. Add the marinated meat to this onion mix, stir well and braise for a couple of minutes. Though the original recipe doesn't require you to braise the meat, I am so used to braising meat a little before I add any liquid, I did it anyway. I also added salt at this stage. Now add water to just cover the meat, bring it to a boil and then simmer it for 25 minutes or as long as necessary till the meat is cooked and tender and your gravy is not very watery. Squeeze in the lemon juice and serve with hot steamed rice. This is one of the easiest curries I've ever made. There's hardly any prep to be done, the marinade is simple, and it's cooked in an hour if you follow the original which does't call for any long marination. I love easy, no fuss recipes like this and I'm going to make this pretty often. Like most curries this one too tastes better eaten the next day so if you can wait that long, good for you! Otherwise just dive in right away.